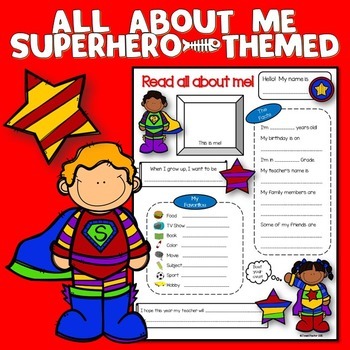 This 'All About Me Sheet' is a superhero-themed get-to-know-me sheet that can be handy during the first week of a new school year. This superhero theme sheet can be used over and over for many years to come. You and your students will surely enjoy!